Attorney Katelyn Bailey Heath joined Raleigh Divorce Law Firm in January 2018. Katelyn attended Campbell Law School right here in Raleigh, North Carolina. She recognized that family law was the area of law she wanted to focus on early in law school and pursued it through internships at local family law firms while she was obtaining her legal education. In addition to her internships, during her time in law school, Katelyn was a member of the Campbell Law Observer where she served as the Ethics Editor Emeritus. Katelyn was also a member of Campbell's Restorative Justice Clinic. Katelyn was born in Auburn, Georgia, but grew up in Salisbury, North Carolina. Katelyn attended the University of North Carolina at Charlotte for her undergraduate studies where she graduated with a B.A. in History and Criminal Justice. 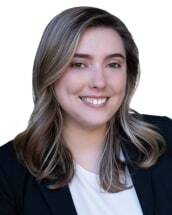 While at UNC-Charlotte Katelyn was active in local politics and interned for a United States Congressman. When not working on behalf of her clients, Katelyn enjoys cuddling with her dog Huck and spending time with her boyfriend.